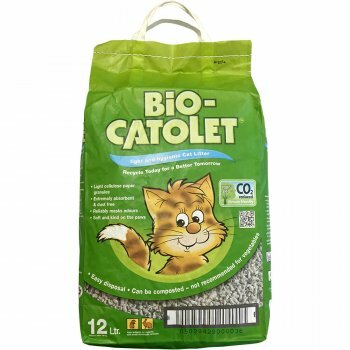 Bio-Catolet could be considered the best choice for the eco-friendly cat in your life. Made from 100% recycled paper, this natural cat litter is 100% bio-degradable, so kind on our earth as well as to your pet. This brand has been sold in the UK for over 15 years, a testament to the success and popularity of this dust-free, insect-deterring, odour-neutralising litter.